Ihor Lazakovych is believed to be a protégé of Group DF. The prosecutor's office of Sumy Region on 6 December issued a notice of suspicion in absentia to Ihor Lazakovych, an interim manager of the fertilizer concern Sumykhimprom, and declared him wanted. 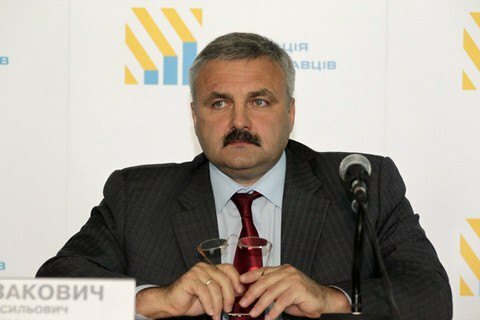 The prosecutor's office said Lazakovych is suspected of embezzling 93m hryvnyas through the procurement of raw materials at overstated prices and the purchase of unnecessary legal services. The suspect's actions qualify as gross embezzlement, forgery and legalization of proceeds from crime. The prosecutor's office asked the court to authorize the arrest of Lazakovych and search of his home. The prosecutors will also check the legality of 11m hryvnyas in donations in 2012-2013 to a local charity foundation, associated with the executives of Sumykhimprom. Sumykhimprom is a state-owned enterprise believed to be controlled by Dmytro Firtash through Lazakovych, a protégé of the owner of Group DF. Sumykhimprom is Ukraine's biggest manufacturer of phosphate fertilizers, one of the top 100 largest state-owned enterprises. It manufactures 53 per cent of complex chemical fertilizers and 40 per cent of titanium dioxide in the country. The company produces about 50 kinds of chemical products used in agriculture, construction, paint, varnish, leather and rubber industries. In December 2015, the government held a competition for the position of Sumykhimprom COB. Dimitriy Kalandadze, the owner of the Georgian company Agromax engaged in the supply of spare parts, consumables and accessories for livestock farms, won the contest.